Today I would like to share with your result of my surfing on internet. 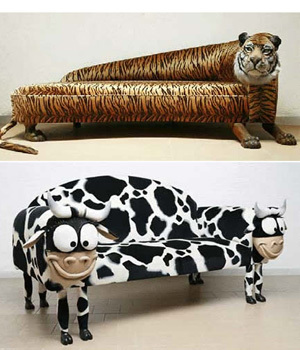 All furniture you will see below is created in shape of animals, from animals or idea is inspired by animals. 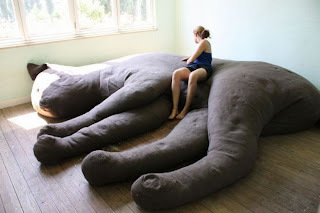 First of all let me show you sofa that looks like cat. Unfortunately I was not able to find designer name as well as I was not able to figure out is it real or Photoshop. Also no link for it - I sow this picture in couple sources and looks like all this web-pages were not original ones. The author of next two sofas also unknown. But they are really nice and much more positive than first one. Of course in this post should contain something created by Sebastian Errazuriz. 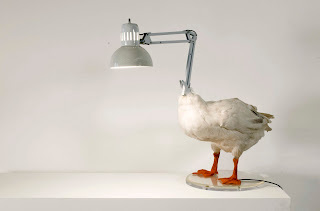 It is famous designer, and one from his latest furniture ideas is The Duck Lamp. If you are inspired - here is his web-page Sebastian Errazuriz. 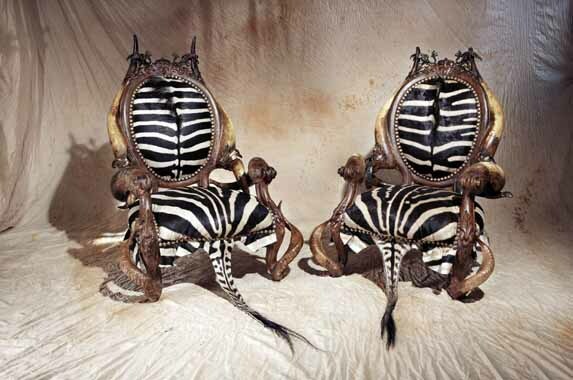 He creates really unusual things. 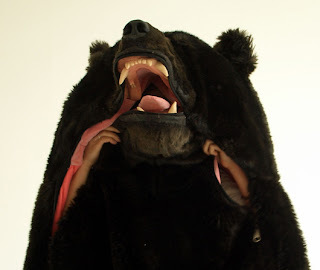 Also google for his "teddy bear coat". 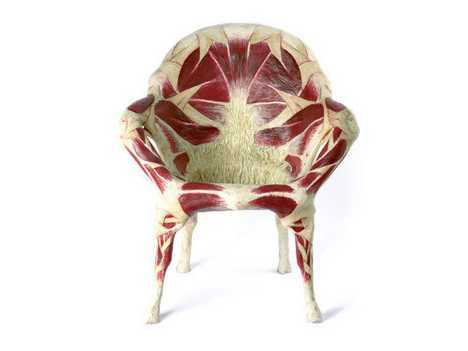 There are a lot or similar projects on his web-page: michel-haillard.com/. 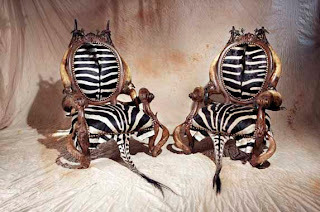 Do you think that you already have seen most extraordinary furniture? No, you haven't. 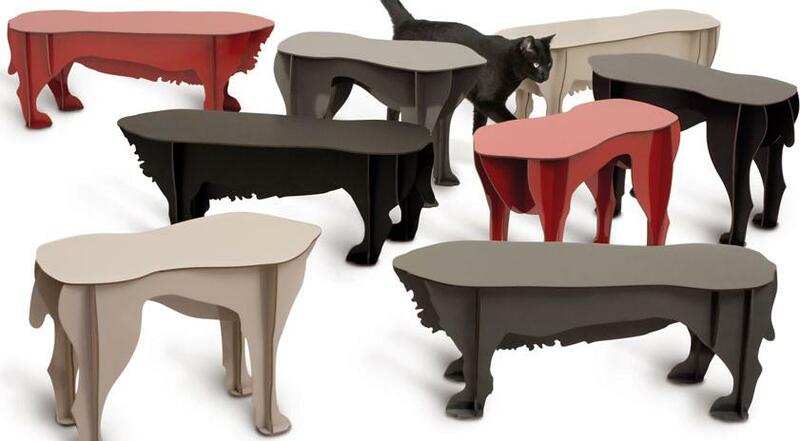 Let me finish this post not with meat furniture. I found it here trendhunter.com and really don't know where you can order such furniture if you like it. Check out this web-page. It has a lot unusual, extraordinary stuff and ideas.